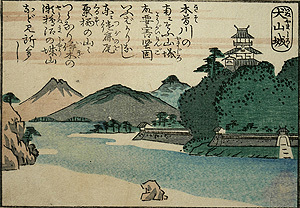 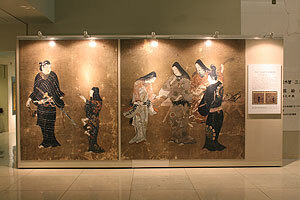 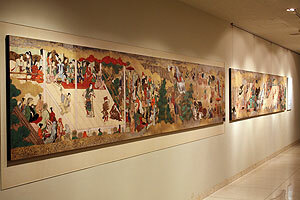 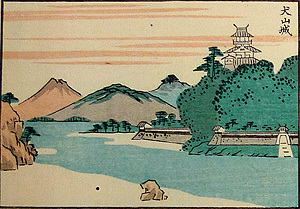 Emura verified from her works and from the literatures that the expression techniques of the above paintings had been closely related to Kiitsu’s learning about the Korin’s paintings, and also considered the Kiitsu’s patrons who have not been completely unveiled. 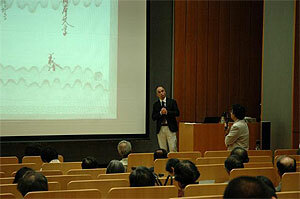 Mr. Sanada made a presentation on the activities and works of Mr. Murakoshi Kiei and Koei, parent and son, who were Kiitsu’s disciples and whom flourished in Senju, associated with the “Edo Rimpa” exhibition that will be held at the Adachi-city Folk Museum in March 2011. 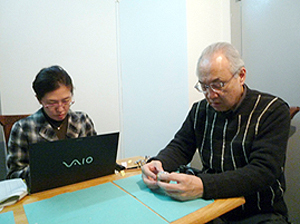 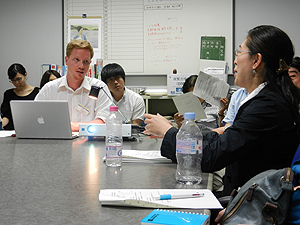 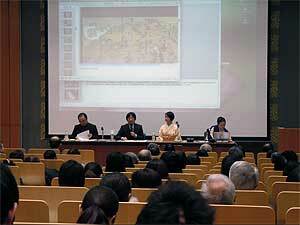 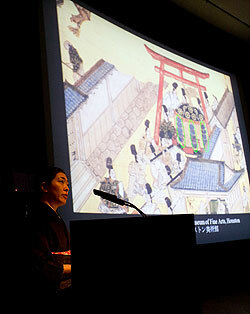 We invited Ms. Tamamushi Toshiko (professor at Musashino Art University) as a commentator and held a research discussion. 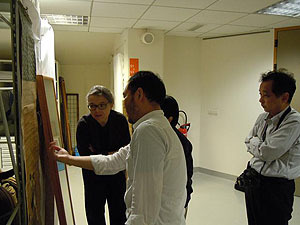 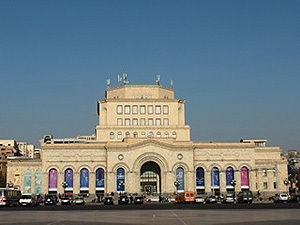 We will make public the results obtained from this workshop in the form of research papers and exhibitions, pursuing further exchange and promotion of research. 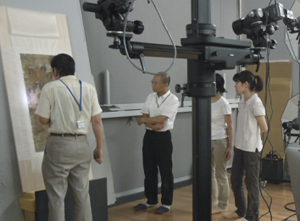 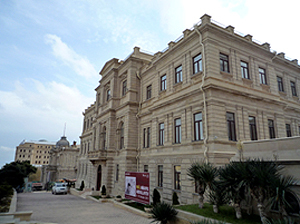 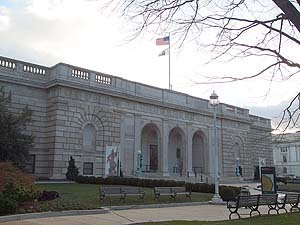 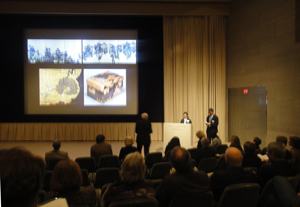 The Department of Research Programming of the National Research Institute for Cultural Properties, Tokyo is conducting joint research with the Nara National Museum as part of the research project Survey Research on Applications of High-definition Digital Images. 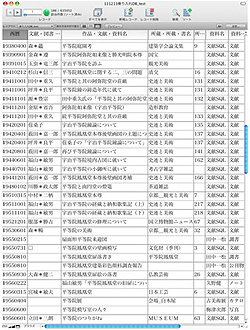 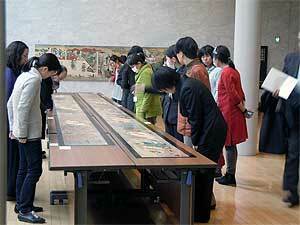 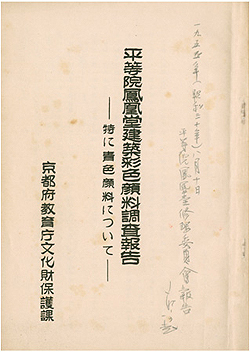 In March 2010, a report on a pedestal for reading Kasuga Gongen Genki-e (owned by Kasuga Taisha Shrine in Nara) was published. 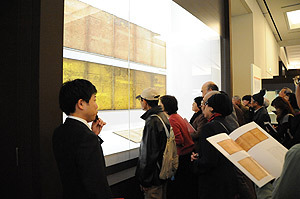 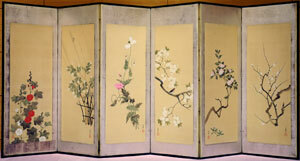 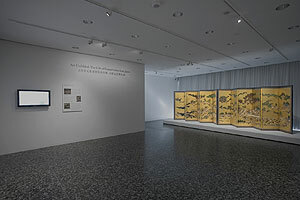 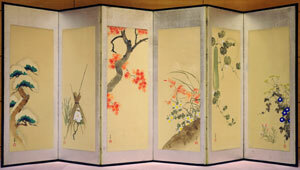 With the Kasuga Gongen Genki-e, the scene of the grounds of Kasuga Taisha Shrine is drawn on a folding screen with six panels that are approximately 42 cm in length, using gold and silver paints and gold and silver cut foils. 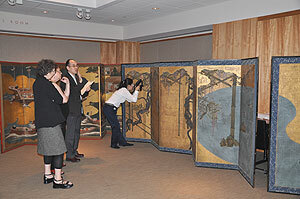 This work has attracted attention because it is regarded as an old example of a paper folding screen and also as a precise example of a picture with gold and silver paints created in the fourteenth century. 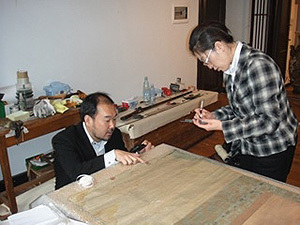 On the fluorescent image photographed this time in the joint research survey, patterns and detailed expressions that are not apparent to the naked eyes were confirmed. 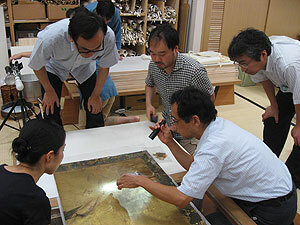 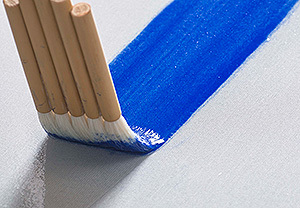 We hope that the fluorescent image will be an important research material in future studies on scenery images and pictures with gold and silver paints. 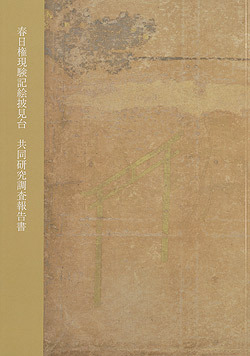 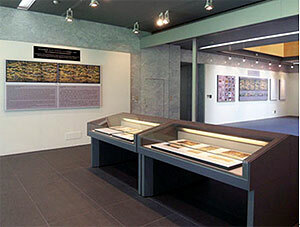 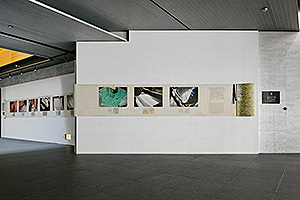 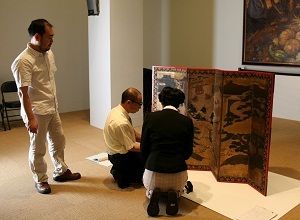 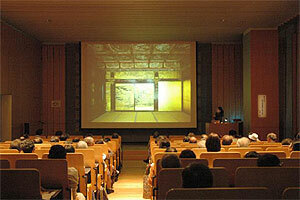 When the Kasuga Gongen Genki-e was displayed in the Special Exhibition “On-Matsuri and the Sacred Art of Kasuga” from December 8, 2009 to January 17, 2010 before issuing the report, we exhibited the color image and fluorescent image photographed in this survey on panels to announce some of the results.